Friday's paper review looks at plans for a nine-hospital conglomerate, a slowing online shopping trend and a higher court shoots down development proposals. 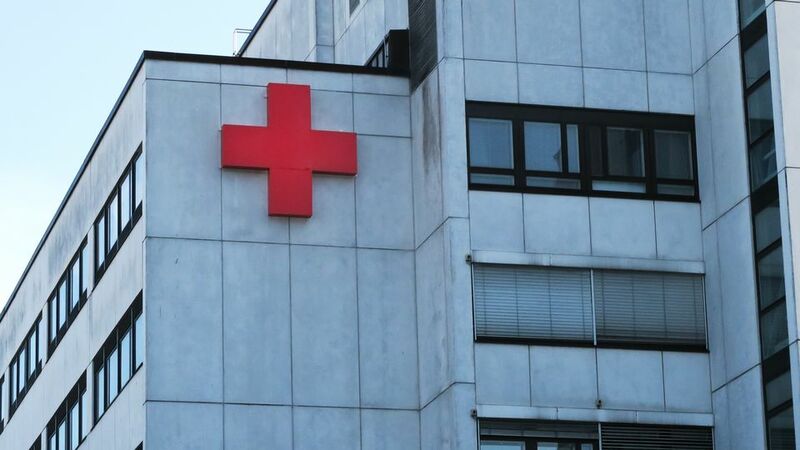 Hospital districts in southwest Finland are setting up a massive project to combine the services of nine different hospitals under a single organisation, according to Tampere region paper Aamulehti. The proposed umbrella company would create a hospital network in south-western Finland, in a region of some three million people and 13,700 hospital employees. Aamulehti writes that the network would be founded as either a corporation or a cooperative. The ambitious proposal would combine the hospitals of Hatanpää, Pitkäniemi, Sastamala, Valkeakoski, Forssa and Riihimäki as well as the university hospitals of Tampere, Hämeenlinna and Seinäjoki. Tasks and duties would be shared among the members with the hope of providing higher quality care to patients due to increased medical know-how and distributed life-saving technology. However, talks have only begun on the new hospital scheme. The hospital district boards of Pirkanmaa and Kanta-Häme will set up the initiative this December, bringing in the Southern Ostrobothnia district by spring 2019. The actual form of the organisation will be finally decided in autumn 2019, with the hospital network estimated to be fully operational by 2022. Three private sector companies – Finnlab, Coxa and the Heart Hospital – already cooperate with municipal health care providers in the region. Pirkanmaa district chief Rauno Ihalainen praised the efficiency of these firms, but floated the idea of a cooperative as well. "Incorporation is not some magic spell, although it does effectively combine commitment and leadership," Ihalainen says in AL. "However, a cooperative could make democratic decision-making better and more transparent." Aamulehti writes that government's much-contested and long-delayed social and health care reform package ("sote") is not behind the hospital network proposal, although reform preparations will tie in with the mega-hospital's planning. The number of products ordered online from China has been rapidly increasing in Finland, with a jump from 11 million packages in 2016 to 15 million last year. Now daily Turun Sanomat reports that the several-year boom is over, with little to no increase in shipments in 2018. "We don't know the exact number of shipments this year, but it will remain at the same level as last year," says Posti mail and direct marketing services chief Kaj Kulp. The reasons behind the freeze in the shopping trend are not clear, Kulp says. TS writes that while Chinese products are not known for their high quality, Finnish consumers still decide to purchase them due to their cheaper prices. These in turn have been maintained due to an EU directive that waives VAT for products costing under 22 euros; that directive expires in 2021. The Universal Postal Union decision from the 1990s considered China a developing country, giving the country leeway in tariff costs. Now the old rule also serves as a loophole for Chinese retailers. TS correspondent Esko Pihkala writes that China's negative public image is likely a major cause for this year's drop-off in online orders. Not only that, but product safety regulations are routinely lacking in items ordered from China, according to safety watchdog Tukes. On Thursday Finland's Supreme Administrative Court rejected a large number of urban development appeals sent in to the city of Helsinki. Tabloid Ilta-Sanomat reports that while some appeals were upheld, many high-profile propositions were shot down. Among these were plans to convert four different motorways and their urban entry points into sweeping boulevards lined with trees. IS writes that the highways of Länsiväylä, Turunväylä, Hämeenlinnanväylä and Lahdenväylä will not be spruced up in the foreseeable future following the appeal court ruling. The island of Vartiosaari off the coast of Helsinki was also rejected as a possible rising neighborhood, and no permanent housing will be built there in the forseaable future. Two appeals were made for the Malmi airport and environs to be kept free of housing, but the court found that the general city plan allows for housing construction and overturned the claims. The area is known for its popular natural surroundings, and the airport itself is the second-busiest in the country. Malmi airport is considered a part of Helsinki's cultural heritage by many, including signatories to a "Lex Malmi" proposal which in 2017 called for a legal insurance that the airport remain in aviation use in the face of the city's intentions to alter the region's infrastructure for population growth. Parliament rejected the citizen's initiative.